"Daniel's Tiger Neighborhood" is the latest show out of Fred Rogers Co. Sweaters and singing included. For the first time in three years, it’s a beautiful (animated) day in the neighborhood. 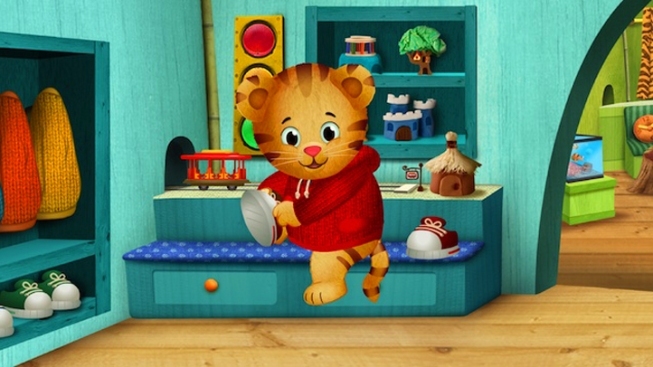 The 4-year-old tiger, much like the real-life man of the previous show, will talk directly to young viewers, Variety reports. The cornerstone of the show will be in Fred Rogers’ learning stile, PBS executives say. "Fred knew that school-readiness skills are the foundation for academic achievement and a full life, and now a growing body of research confirms this,” said Fred Rogers Co. president Bill Isler. Fans of the original “Mister Rogers” will see small nods to the the show, which ran from 1968-2001. At the beginning of each episode, for instance, Daniel will put on a sweater and tie his shoes.